I'm so excited, I can't even think straight. Let's see if I can organize my thoughts, or if I should just throw confetti at the screen and leave it at that. So, what's with all the enthusiasm? Well, my dear friends, I wrote a book that will help you celebrate the full moon for an entire year, and I'm so excited to share it with you! 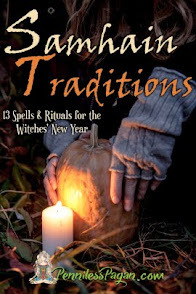 My first Penniless Pagan book, By the Light of the Moon: 13 Simple & Affordable Spells & Rituals for a Year of Full Moon Celebrations is, well, everything the title implies. 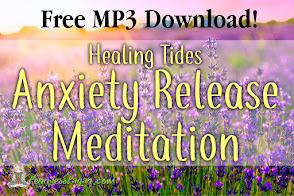 It's what you've come to expect from Penniless Pagan — cost-free or nearly cost-free spells that are simple, easy to follow, and effective— all squished into one easy-to-download e-book! And the best part? 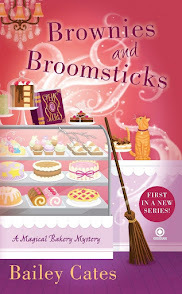 There's thirteen BRAND NEW previously unpublished spells just waiting to be unleashed! Thirteen, you say? Oh yeah, I have you covered even on a blue moon year! ;) And at $7.99, that's just .61¢ a spell! But Michaela, what if I'm too busy to read through a spell and then cast it? I've got that covered too! With a super simple BONUS ritual (bringing the spell/ritual count up to 14! ), I'll have you honoring the full moon before your microwave burrito is fully nuked. And since many spells offer several variations, you can even reuse the same spell for a different outcome! For example, if you're feeling spunky one month, you can use the Moon Dust Fire Spell Pouches to increase your intuition, and then use the SAME spell the next month for wealth and abundance. Pretty swanky, hm? Most spells can be completed in under 15 minutes, but none take more than 45 minutes. And because this is the Penniless Pagan and not Moneybags Pagan, most spells can be cast with materials found in your own backyard! Annnnd because I want to make your conjuring experience go as smoothly as possible, I've included tips and tricks for your casting pleasure, including an herbal substitution guide. This guide details common household herbs and their magickal intentions so you never have to worry about having the right herbs on hand! Okay, Michaela. You need to slow down, take a deep breath, maybe have a sip of water. You know what? 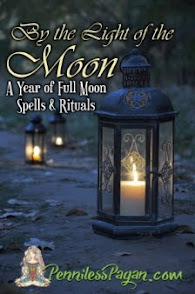 Rather than getting myself all worked up, why not let you have a sneak peak of the details so you can get on your way to a year of full moon spells! -And advice on how to conjure successful magick! If you're looking for easy yet effective ways to celebrate the full moon, head on over to Amazon (Click here for UK, AU, or CA), Barnes and Noble, or iTunes and pick up an e-book copy! Looking for paperback? Click here. 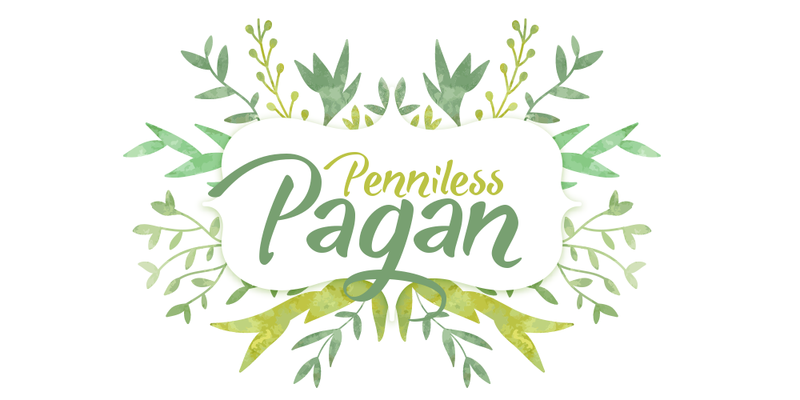 Are there any topics you'd like to see the Penniless Pagan turn into a book? 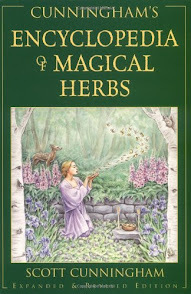 What are some of your favorite Pagan Books? Look at your writing books! Why aren't the pictures featured in the book as well? They are beautiful! That makes much more sense. I was like why in the world would she take these lovely pictures for them NOT to end up in the book. I understand now. Your watermark is not on the pictures in the book. Hello there! Smashwords is an e-book platform, but I do use them! I'm doing some serious research to see how I can get a paperback to you lovely folks without having to charge an insane amount! We'll get there! ;) Thanks for visiting the blog! I appreciate you taking a moment to comment! =D Have a great week! Recently found you (thank you Pinterest) and signed up for your newsletter. I look forward to having a few extra dollars lying around to add your book to my collection. I look forward to reading it! 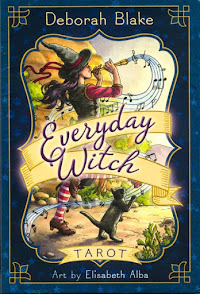 One of my favorite books so far has been "witch on the go", which I gifted to a dear friend one Yule. (Something my coven does that I love, we go into our closets and bookshelves and gift each other with something we have loved, but no longer use.) Other books I have found fantastic for going back to repeatedly are "element encyclopedia of 5000 spells" and my old day planners from Llewellyn.